Christmas is just days away! 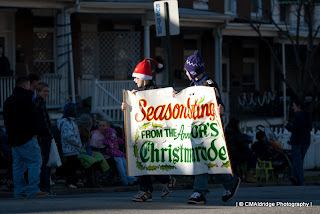 I lucked out this year and was able to photograph a couple of different Christmas events. Even better I was able to do so the weekend I rented the Nikon 70-200 VR. I really enjoyed getting the shots having a combination of lenses and cameras at the same time allowed me to take My first shoot of the weekend was Babes in Toyland. 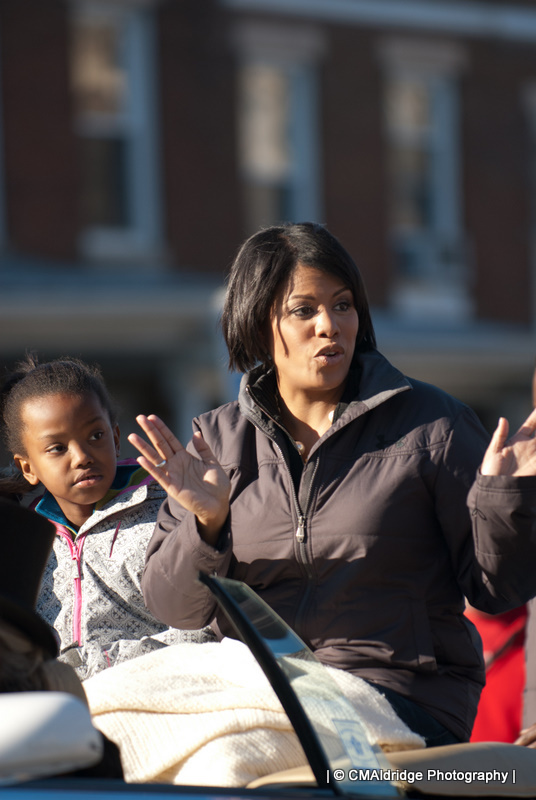 That Sunday I was able to take in part of the Baltimore Mayors Parade. 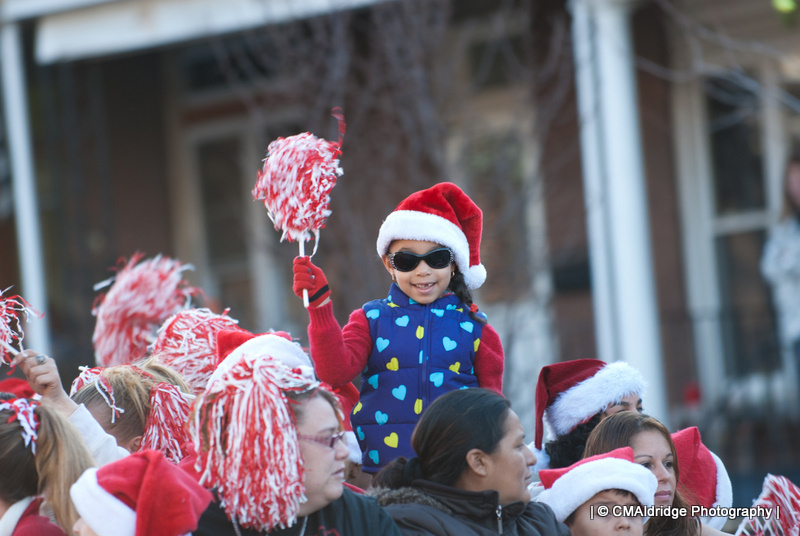 My primary objective was to catch my friends Niece on a float (actually a flatbed tractor trailer) in the parade. This girl has got some character at 5 years old. I was lucky to catch her on this "float" crammed with kids and parents. Fortunately her dad saw me standing on the side of the road(I'm kinda hard to miss at 6'6") and had her stand up. Thanks to the fast focusing of the 70-200 I was able to get a few shots and this keeper! 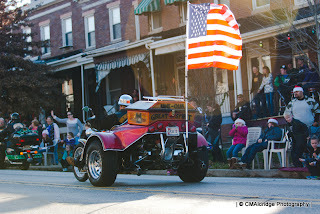 I had a great vantage point, and great weather, a perfect day for a parade. Starting at the school at the corner of Cold Spring Lane and Falls Rd, just to the north of me down a hill, the parade progressed towards the Avenue in Hampden. The sun was opposite me above the row homes just to the south. With the exception of some spectators that though it ok to stand out in the street, being slightly higher than everyone else allowed me to see well down the street. 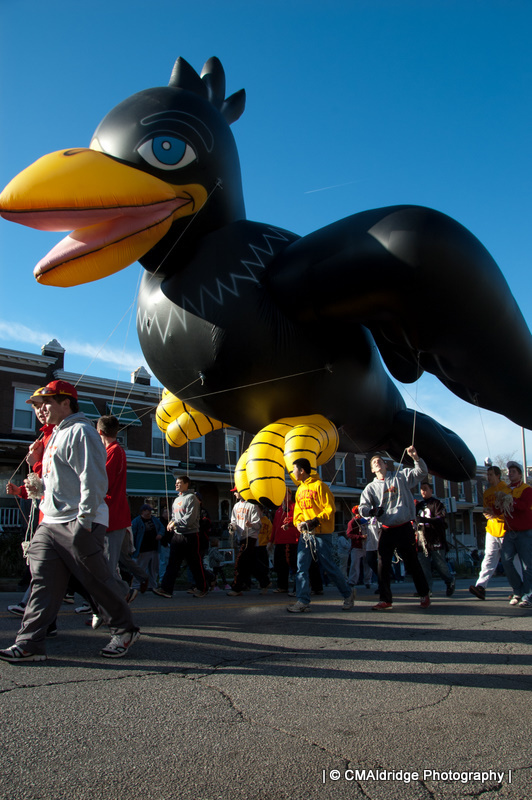 With a wide lens, in this case my Nikon 18-200 VR, I got down low to get this shot of an inflatable raven to exaggerate the size and height of the bird. The clear blue sky is nicely saturated with the sun well out of the frame to my left. However, by including the sun in the frame, or just outside of the frame, images take on a very different look. I purposely included this flare behind the flag. The 70-200 doesn't flare very easliy, but given the right conditions flare can add real feeling to the composition. 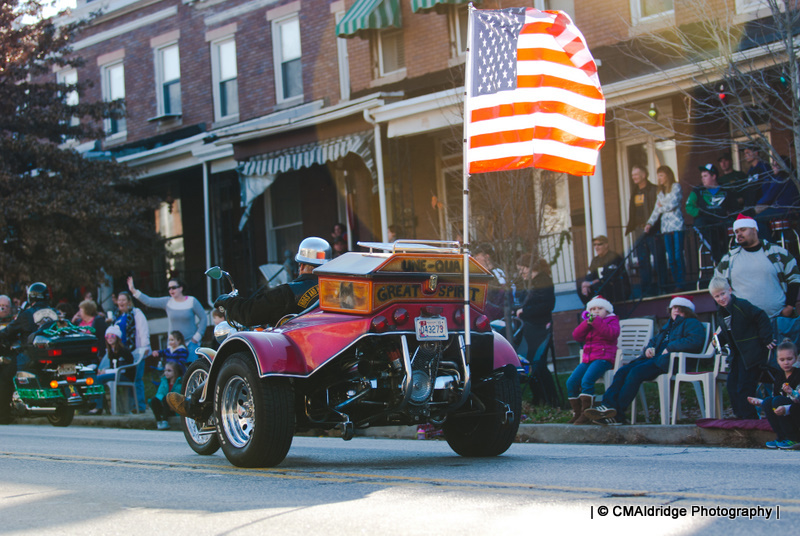 I did boost the colors a little bit for this final image, but love how it highlights the flag. 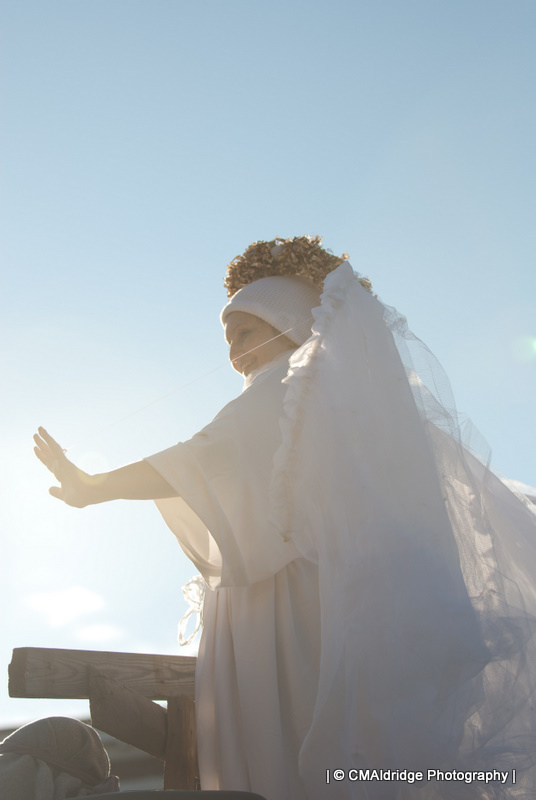 The sun itself is just outside of the frame in this photo, causing a veiling flare effect make the angel seem very surreal and spiritual. She almost appears to be emitting light from her outstretched hand (which in reality I think she was just waving to the crowd!). 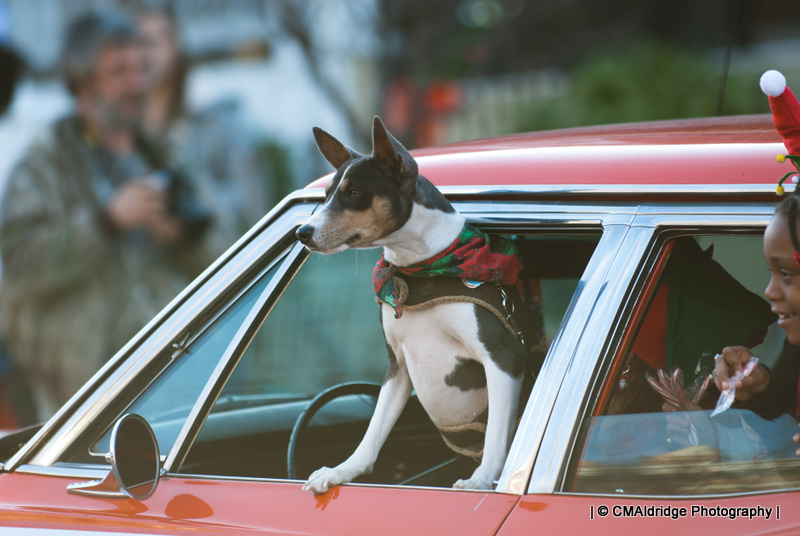 In this image, the sun and any flaring effects are well outside the frame, but the direction of the light reduces the overall contrast and gives this doggie driver a bit of a vintage feel. And of course being Baltimore, and perhaps moreso Hampden, there were some very interesting sights and costumes. 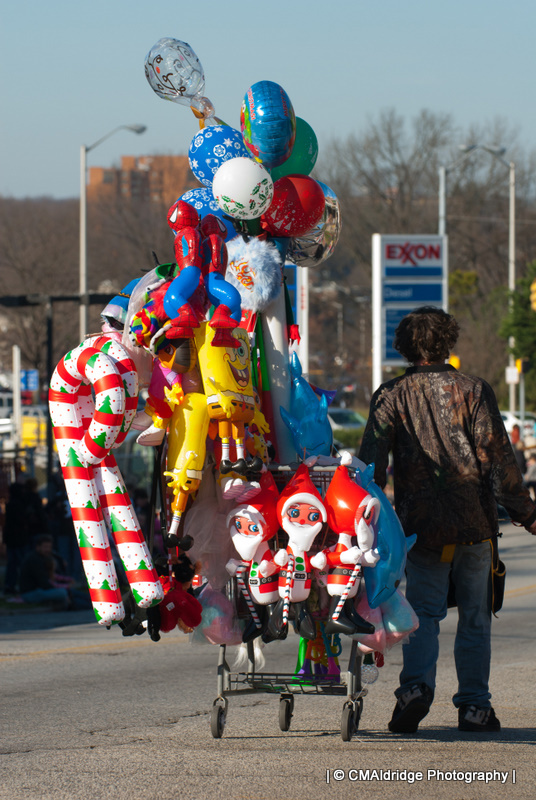 I got a kick out of the guys pushing shopping carts selling all sorts of parade gadgets, toys, horns, and who knows what else. 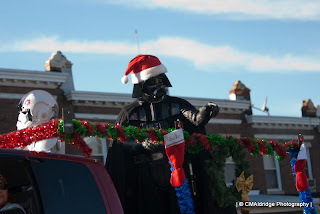 Perhaps only in this parade, could you not only see Darth Vader in a Santa hat, but get a James Earl Jones effect reply from him when a spectator shouted: "May the Force be with you." His reply: "And may it be with you." Guess he was Catholic too.